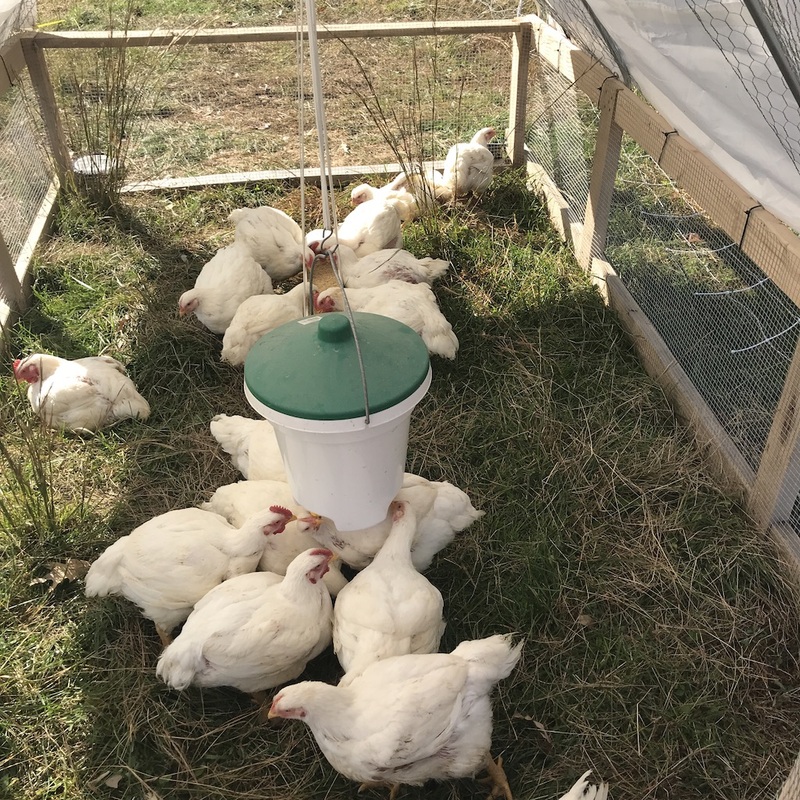 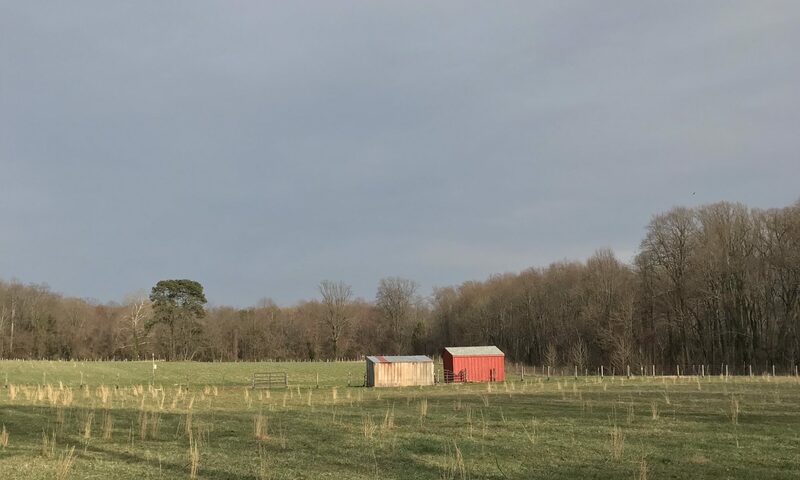 We are happy to say that the chickens thrived in their chicken tractor on our Amberly field, eating bugs and grass in addition to their high-protein feed. 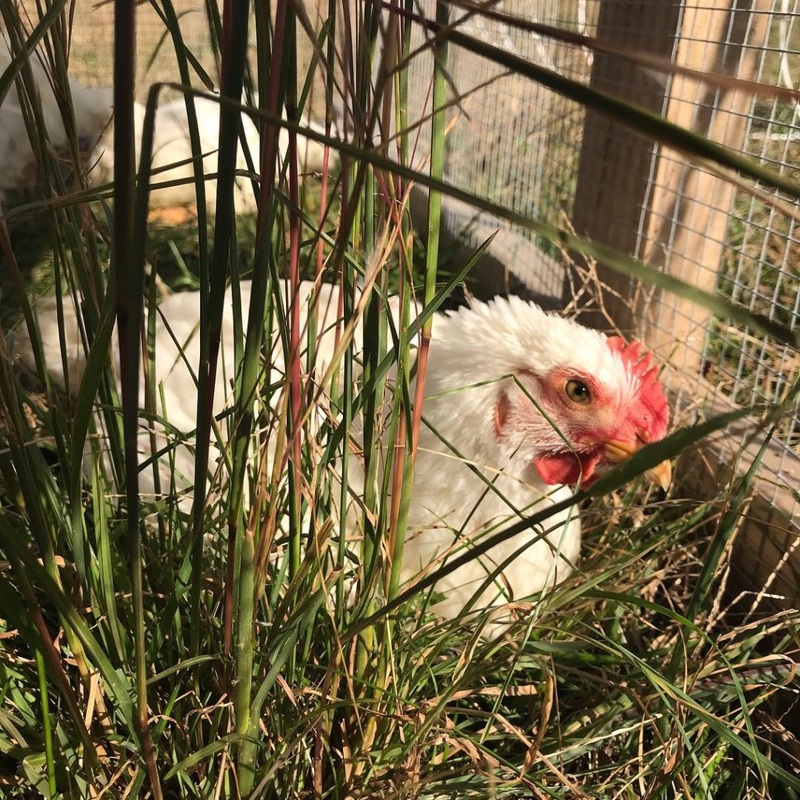 They all survived — though one poor guy had to be rescued and sit under a heat lamp for a while after he sat in a cold puddle all night. 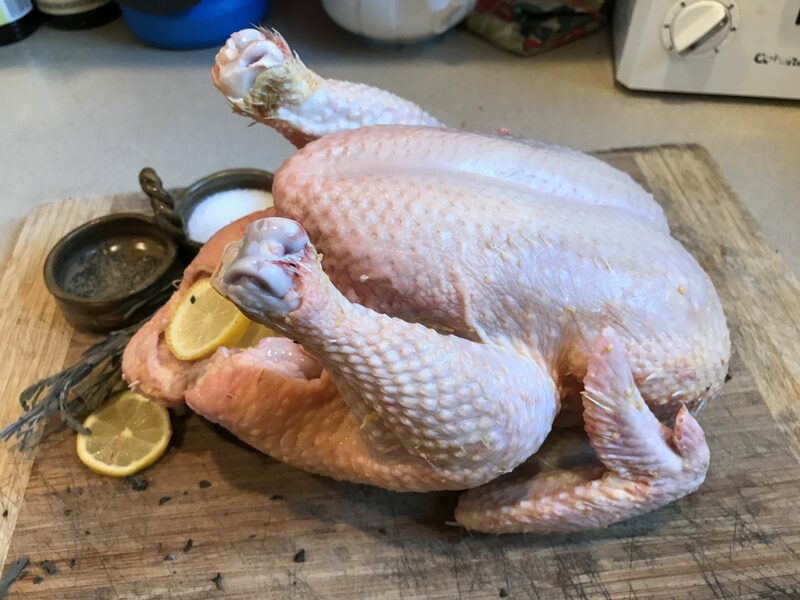 After 8 weeks of growing, the birds were ready for processing. 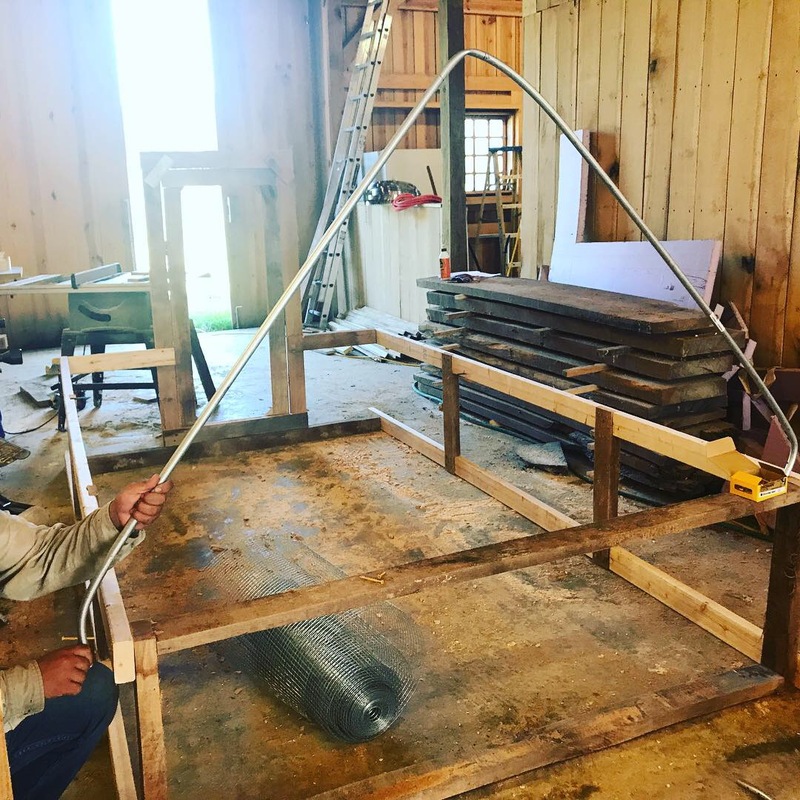 We have fixed up our barn kitchen into a temporary chicken-slaughtering facility and are making sure to keep the facility sanitary and meet all Maryland regulations with respect to the small-scale slaughter of poultry. 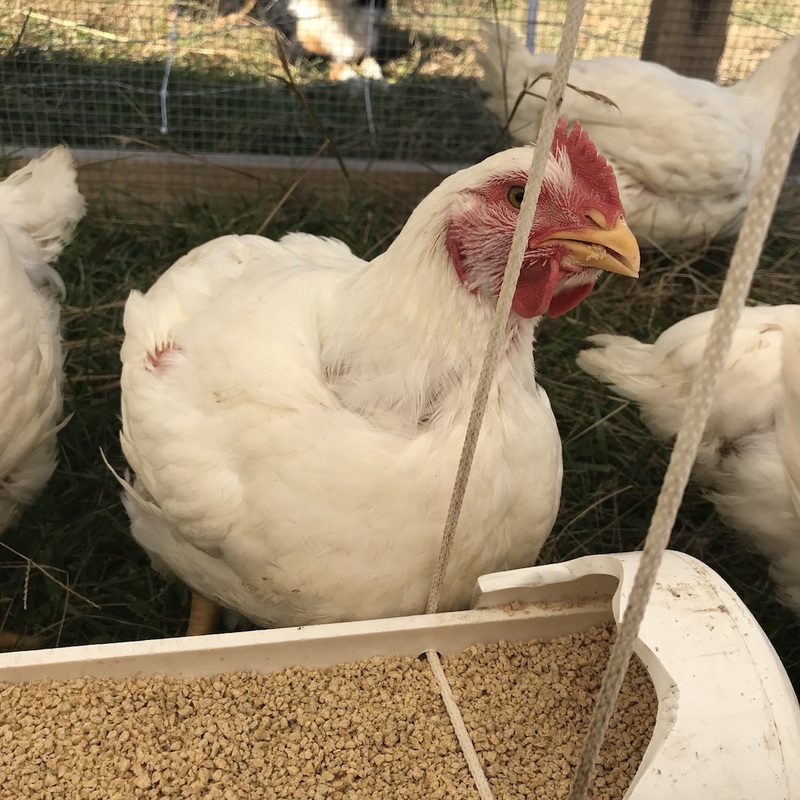 We are beginning a trial of pastured chickens to see how we can raise chickens in a sustainable, healthy manner that results in delicious meat! 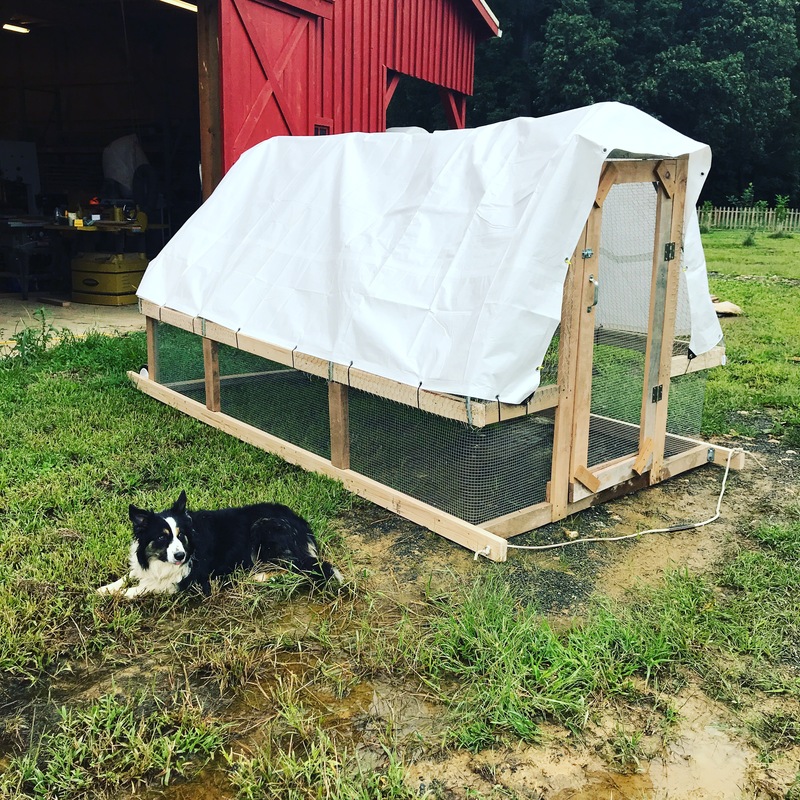 Following the plans for “Stress-Free Chicken Tractors” we found at Farm Marketing Solutions, we built one chicken tractor in a day and a half. 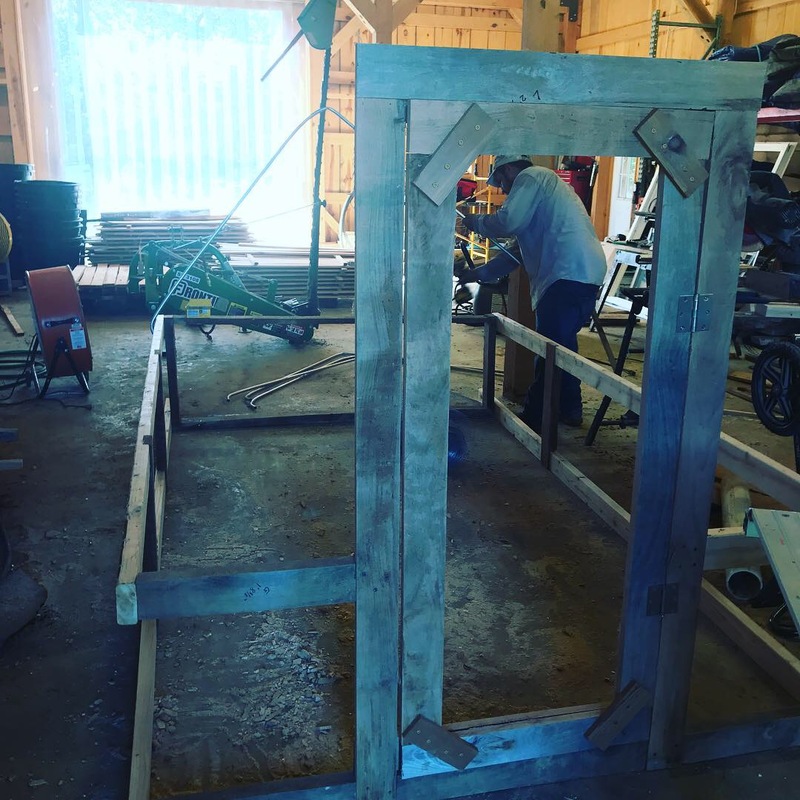 Proud to say that we used some of our own farm wood as part of the design! 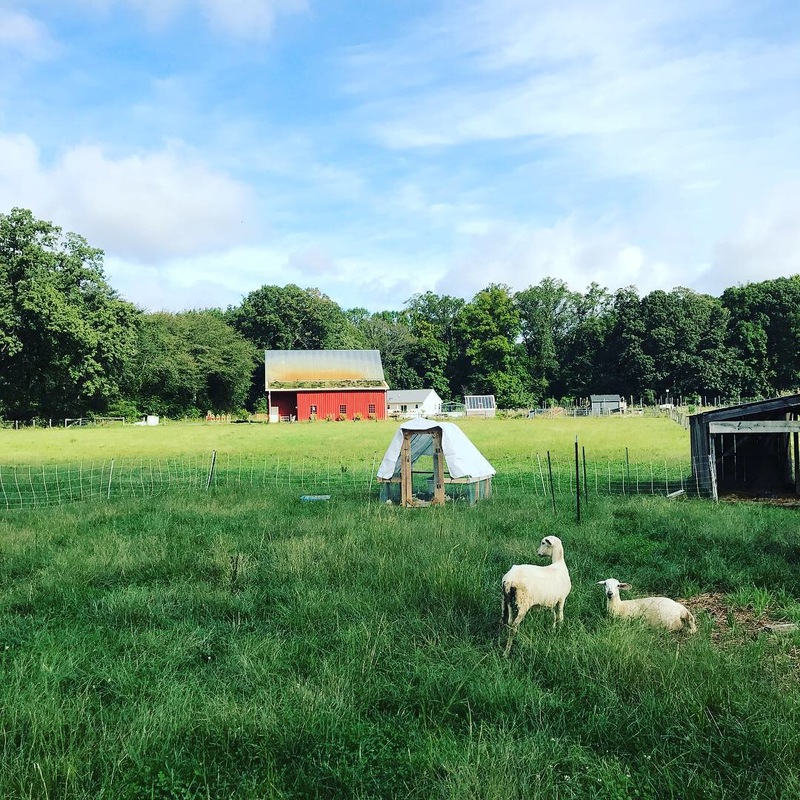 We put the chicken tractor out in the field with our rams and wethers, who don’t seem to mind the new addition. 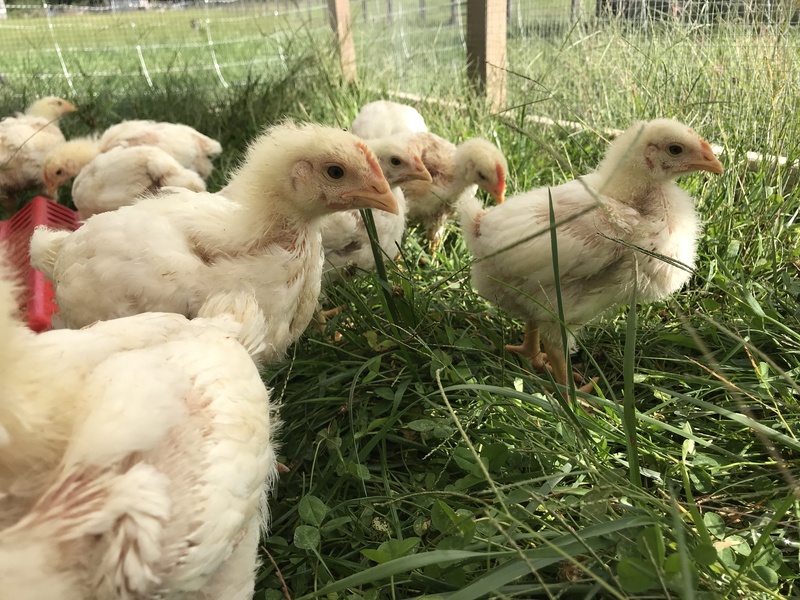 Then, 21 Cornish Cross chicks that had been growing fast in the brooder became the first residents– they were thrilled to be out on the grass, to eat bugs and clover as well as their poultry ration! 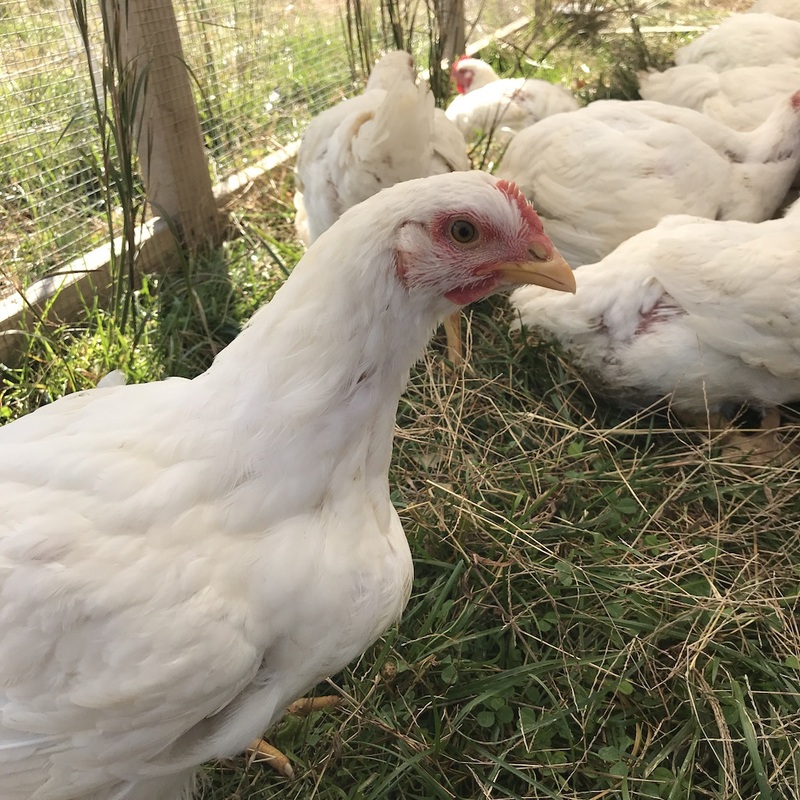 These birds will continue to grow very fast — much faster than other breeds of chicken meant for laying eggs — and so should be ready for slaughter in early November.